Surgical Gastroenterology is a full-fledged department with laparoscopic surgical facilities. With the help of cutting-edge technology, our well trained surgeons will provide innovative strategies for managing a host of surgical problems using minimally invasive techniques. 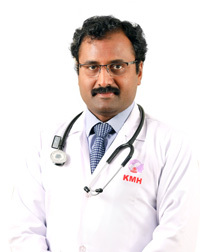 Dr.KMH provides surgical services for conditions of the oesophagus, stomach, duodenum, pancreas and gallbladder. These include cancers, gastro-oesophageal reflux, gallstones, obesity and pancreatitis. The department is keeping pace with the current trends worldwide in the diagnosis and treatment of all surgical problems related to the digestive tract. We have highly trained consultant gastroenterologists who can perform diagnostic tests and provide treatments for a wide range of gastrointestinal disorders. Our doctors can help with anything from indigestion to throat cancer, and we have an experienced support team who can provide dietary advice and additional care when you need it. We also perform surgery for cancer of the oesophagus and stomach as well as a wide range of other conditions. We also perform many laparoscopic procedures and have an oesophageal physiology laboratory. 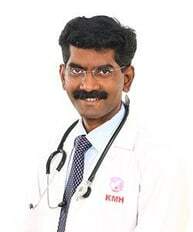 Dr.KMH has a multi-disciplinary team comprising of Gastroenterologists, Upper and Lower Gastrointestinal Surgeons, Radiologists and Oncologists to offer dedicative care to the patients. Our experienced team will provide the highest quality care along with all the information you need to understand your condition and the treatment options. Colonoscopy is a test in which the doctor passes a thin flexible tube through the back passage to have a look at the lining of the large bowel (colon). Endoscopy is procedure using a thin flexible tube called an endoscope, to examine the inner lining of the oesophagus (gullet), stomach and upper small bowel (duodenum). Acid Reflux is the movement of stomach contents backup from the stomach into oesophagus (gullet). Irritable Bowel Syndrome tends to be characterized by either diarrhoea or constipation, or an alternation between the two complaints.